At its Annual General Meeting (AGM) on Thursday, Reliance Industries Limited (RIL) has officially announced the JioPhone 2, the successor to last year’s JioPhone. Secondly, registrations for Jio GigaFiber — the company’s name for its much-awaited fiber-to-the-home (FTTH) broadband service — will start on August 15th. The JioPhone was one of the first “smart feature phones.” It was powered by KaiOS, a fork of Boot2Gecko, which is itself the community-driven successor to the now extinct Firefox OS. It was announced last year as a 4G VoLTE and Wi-Fi capable feature phone, and it had the capability to run Jio apps. Much was made about its “effectively free” pricing, with customers having to give a down payment of ₹1500 ($22), which would be refunded to them after three years subject to terms and conditions. The phone itself gained Google Assistant capability, making it one of the first feature phones to run Google Assistant. Now, Jio has announced that WhatsApp and YouTube will also be available for JioPhone users from August 15th. The JioPhone went on to become the most popular feature phone in India, and now it’s getting a successor. The JioPhone 2 has a Blackberry-like design with a portrait QWERTY keyboard. It will be available alongside its predecessor, and it will be made available starting August 15th. The phone will cost ₹2999 ($44), and there is no mention of any down payment this time around, so the price is the full retail price. 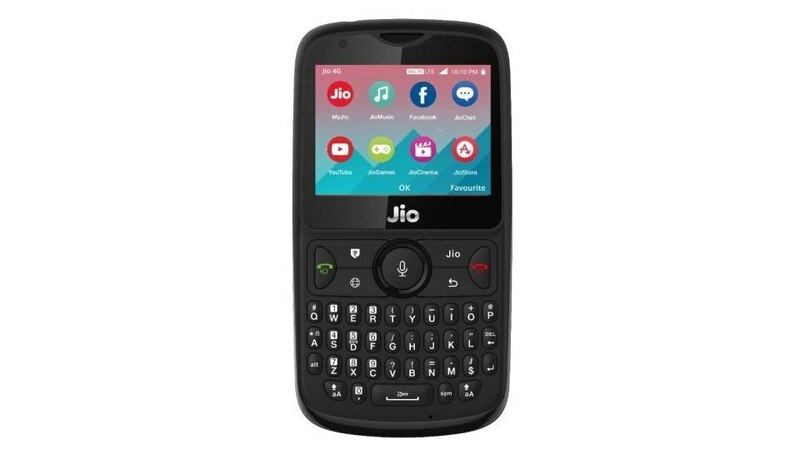 The JioPhone 2 is a KaiOS-powered smart feature phone, and its specifications are noted below. It also has a dedicated button for voice command. The company also announced a “JioPhone Monsoon Hungama Offer” that will start from July 21st. It allows existing feature phone users to exchange their current phone for the JioPhone for ₹501 ($7). 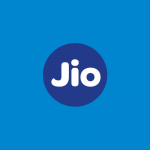 RIL announced the launch of Jio GigaFiber – the company’s FTTH home broadband service — alongside the JioPhone 2 announcement. Jio GigaFiber FTTH services will be made available in 1100 cities in the country, although there was no specific time frame given for launch. Jio GigaFiber consists of the GigaFiber router along with the Jio GigaTV set-top box, which will allow users to make video calls to other GigaTV devices or mobile users on any network in India. Jio GigaFiber has been in beta testing mode since last year, with consumers in select cities getting access to its Preview Offer with speeds of 100Mbps. JioFiber’s official public announcement didn’t come with any specifics about speed or pricing, although Jio has claimed speeds of up to 1Gbps in the past. It is expected to be the “biggest greenfield fixed line broadband service” in the world, according to the company, and it will be made available to homes, merchants, small and medium enterprises, as well as large enterprises. Jio GigaFiber will enable customers to use services such as UHD entertainment, multi-party video conferencing, voice-activated virtual assistant, VR gaming and shopping, and smart home solutions. Users will be able to connect VR headsets to their Jio GigaFiber network and view 360-degree content in 4K resolution. Registrations for Jio GigaFiber can be made from August 15th from Jio’s website and the MyJio app. Reliance states that it will prioritize the roll-out of Jio GigaFiber in localities based on the interest the company receives from registrations. Jio GigaTV will let users call other GigaTV users, as well as mobile users on other cellular networks. Subscribers will be able to use voice commands on a microphone-enabled TV remote to access the standard Jio suite of apps. Finally, the company detailed some statistics. The Jio 4G LTE network that was launched in September 2016 has now gained 215 million users in 22 months. The company aims to bring India among the top five global fixed line broadband players, and it has invested over ₹250,000 crores ($36 billion) for creating better mobile and broadband connectivity. Our view: The launch of Jio GigaFiber has the potential to transform the fixed-line broadband industry in India. Indian consumers have been struggling for years with slow broadband Internet speeds and high prices, so the arrival of affordable FTTH services can change the game entirely. However, a lot depends on pricing and availability of the service. If the execution is carried out well, Jio GigaFiber can be a service that finally brings back sense to the broadband industry.